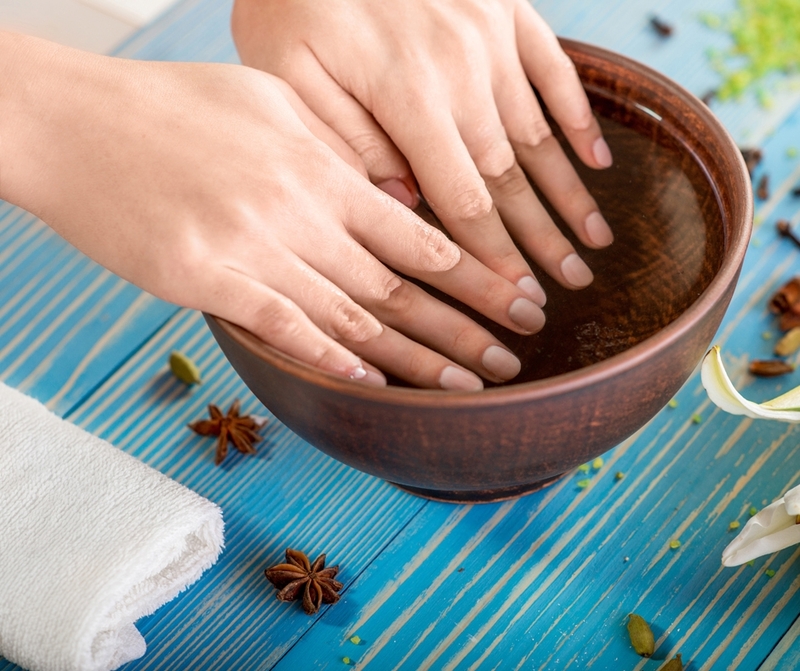 Easy DIY Natural Nail Care - Cuticles - Amphora Aromatics Ltd – Supplier of pure essential oils and aromatherapy Products. Hi all! It’s Sophie here again with my final Natural Nail Care blog. Today is all about cuticles, that tiny bit of skin that surrounds the nails. If they become dry they can peel and split, often causing painful and sore hangnails. Left untreated, this can even lead to infection. Their function is to help keep nails healthy by protecting the nail from bacterial and fungal infections. Keeping your cuticles hydrated and soft will prevent them from becoming overgrown & dry and will help to avoid splitting etc. Coconut Oil helps to moisturise and strengthen skin and can help remove excessive dead cells on the surface of the skin - perfect for keeping cuticles healthy. Sweet Almond Oil and Beeswax can help moisturise and improve condition of skin and have great healing properties. Diluted Lemon Essential Oil will help boost circulation and blood flow to the cuticle and is a great antiseptic. Lavender will also help soothe and heal. Melt the wax and carrier oils in double boiler. Remove from heat and gently stir the essential oils into the mixture. Decant into a dark jar and allow to cool and set. Alternatively you could make a lovely hand soak. Similar to a foot soak, using moisturising and softening natural ingredients such as those above can make a real difference. Just add 10 drops Lavender and 5 drops Lemon to a bowl of warm water and rest your hands in the blend for 5-6 minutes or until the water has gone cold. Tea Tree essential oil is a great one to add if you suffer from any fungal infections, or Peppermint for a zingy fresh scent. Apply this balm to your cuticles a couple of times a day. Simply soak a cotton wool pad in the blend, apply a small amount to your cuticles and gently massage. This blend is great for when the cuticles need some attention but is also good to use a few times a week as a preventative measure. As with all natural ingredients it is important to carry out a patch test, simply apply a small amount of the blend to the inside of your elbow. Leave the area for 24 hours but keep an eye on it - if any reaction occurs wash the area well with warm oil. You may need to test each ingredient individually to work out which is causing the reaction. Thank you for reading! I hope you enjoy creating your very own natural cuticle balm – perfect for you or as a lovely gift for friends and family too. Don’t forget that all the ingredients listed in this recipe can be found on our website. Click on the name of the ingredient in the text above or visit www.amphora-retail.com.